CHARLOTTE, N.C. -- It may be hard to believe, but the start of school is right around the corner. Teachers are already back getting their classrooms and they know not all of their students will have what they need on the first day. Taylor Shoemaker loves being a kindergarten teacher. “We get them and teach them how to be humans," Shoemaker said. She and the other kindergarten teachers at CMS' Ashley Park Elementary School know they’re helping kids learn the basics. “A lot of them come in not knowing the alphabet, even how to write their names,” Shoemaker said. Many of the kids will also come to school without the basic tools. “Some of our students come in and they don’t have a backpack to get things to and from school,” she said. So Shoemaker and her colleagues got creative to help get their kids what they need. The need is great across CMS for school supplies. In fact, kids at almost half of all CMS schools qualify for free and reduced lunch, meaning school supplies aren’t always the top priority. That’s why NBC Charlotte is teaming up with some of our community partners on a school supply drive. Those interested in helping our teachers can click here for more information. 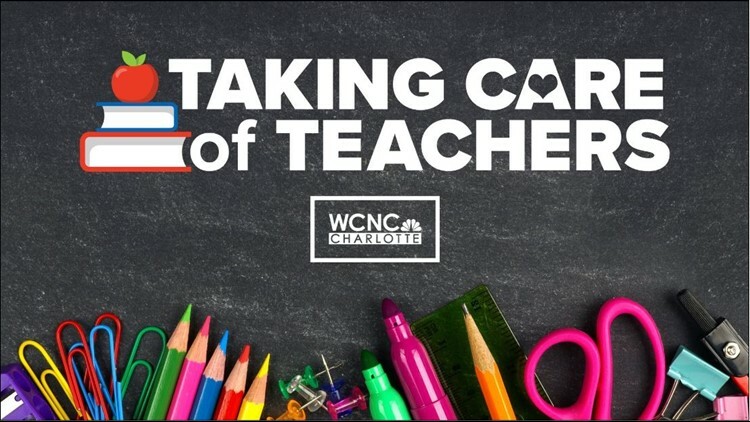 RELATED: NBC Charlotte is taking care of our teachers! You can also bring your donation to Walmart on Pineville-Matthews Road Saturday from 9 a.m. to 2 p.m.